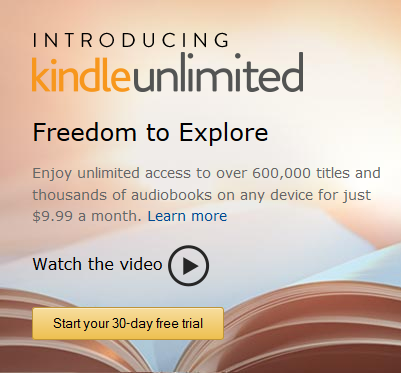 FREE Kindle Unlimited 30 Day Trial! You are here: Home / Great Deals / Amazon Deals / FREE Kindle Unlimited 30 Day Trial! If your Kindle is your go-to device, you are going to love this! Get a FREE Kindle Unlimited 30 Day Trial! books on Kindle that Amazon offers for one low price! If audio books are your thing, you also get access to these as well! This is a perfect gift for a bookworm loved one as well!